Emotions are raw as we bear evidence to police brutality and continued racial tensions in the United States. For decades we have understood that racism is real and it is a threat to our society. This year we have had a number of incidents that have brought the issue of racial profiling to the forefront of everyday dialogue. In guiding this discourse I believe the media plays a very important role which at times seem destructive. The media sets the agenda of our discourse in the way they choose to report numerous incidents. In so doing there seems to be a heavy reliance on distinguishing between the races involved. When the unfortunate incident involving Eric Garner occurred, media outlets were quick to point out that a black unarmed man was placed in a chokehold by a white cop. Would the story have less appeal had the races of those involved not been utilized in the reporting of the incident? The moment the media interjects race into the equation it makes the case a race issue which impacts how the information is received by the general public. While some may argue that they are stating the facts in the case, I believe it would be more beneficial if race was examined as a secondary issue. In so doing, we ensure more objectivity in looking at the other facets of the case. For instance in the video evidence of what occurred between Eric Garner and the cops you would notice that Eric was irate (and may have been for good reason) at being targeted by the cops. On several occasions he told the cops not to touch him when they attempted to put him in handcuffs. I am led to wonder if the situation was less confrontational, would Mr. Garner be alive today? What role if any, did Eric play in escalating the situation? In asking these questions I am not legitimizing the actions of the cops involved. I have viewed the video clips several times and it is clear that once Eric was placed on the ground he was less resistant. He stated almost immediately that he couldn’t breathe, and yet the officer maintained the chokehold. We now must examine if the use of a chokehold to subdue an individual is common or allowable practice for the New York Police Department (NYPD). Representative Peter King on a recent CNN news segment indicated that the use of a chokehold by police officers in the Garner incident was not illegal. Regardless, we must question if the officers needed to maintain the chokehold once he was on the ground and had stopped resisting arrest. In my observation and from a civilian perspective, I did not think the maintenance of the chokehold was necessary and find it alarming that Garner’s insistence that he could not breathe was ignored. However I am not a cop and do not have experience relating to issues that cops like those in the NYPD must confront on a daily basis. The way they responded to the situation may be grounded in experiences they have had in the past. Cops must exercise their discretion in the use of force, their ultimate duty is to serve and protect the people within their community. As civilians we charge cops with the responsibility to exercise such discretion in a manner consistent with standards of justice and equality, however we must be careful in our critique. How often have you been faced with a life and death situation and must make a split second decision to save your life? How often have you confronted criminals who place your own life at risk even as you aim to protect the life of others? These questions are meant to allow us the opportunity to not discredit the frame of reference of the cops involved in situations such as the Garner incident. The grand jury decision in the Garner case comes roughly a week after a similar decision in Ferguson, Missouri where Michael Brown was shot and killed by a police officer. 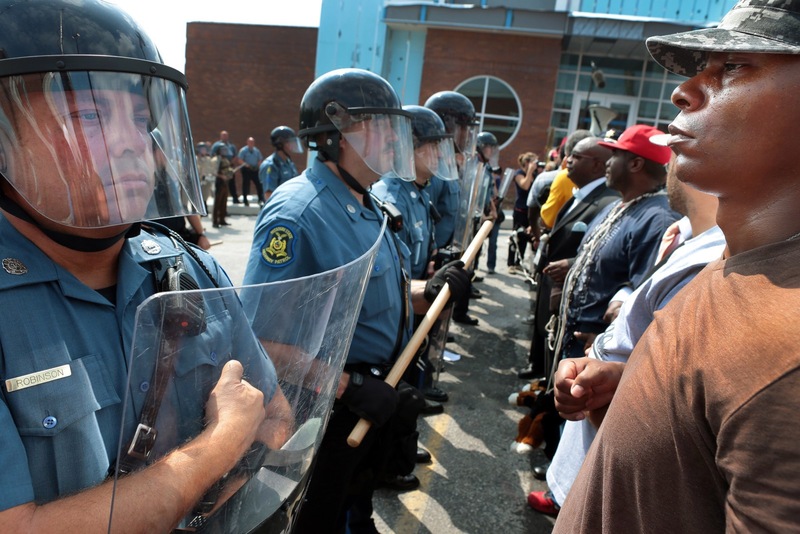 Like the Garner case, Ferguson became the focal point of racial tensions in the United States (U.S.). Many of us formulated an opinion regarding the facts of the case as given to us by what we consume through the media. We have in essence become judge and jury in matters of which we only have snippets of information and our sense of racial discord further erodes our objectivity on such issues. We need to try as best as possible to frame our response in a manner that underscores the fact that we are receiving information from a secondary source. In our quest for equality we must be careful to not deny justice on the basis of our own sense of being discriminated against; black or white. Sure there are a lot of unanswered questions and we may never get some of those answers. We will never get the opportunity to hear Michael Brown’s side of the story. With the little information we have, we must decide on the facts of the case and determine the extent to which someone could be held criminally liable. In both cases a grand jury made that decision. As a populace we will have to accept those decisions and determine ways we can rally for change in how police officers carry out their duties. An example of effective change which could be implemented because of these unfortunate incidences will be a requirement that all law enforcement officials wear body cameras. We already see discussions underway for methods of implementing said policy. Perhaps race indeed played a role in both the Garner and Brown case, the truth is I will never know. Only the parties involved know that answer. What I do know is that racial inequality still exists; each of us harbor stereotypes regarding others we may not fully understand. Our aim should be to rise above the stereotypes. We must at all times seek ways to challenge ongoing misconceptions people have about marginalized groups. It is imperative that we also challenge our own beliefs and admit our own prejudices. America and indeed the world still has a far way to go in terms of race relations and how we treat other minority groups. In the discourse over race the last few weeks I have seen people become insensitive to the needs of others. I have witnessed how cruel some of us can be, especially those hiding behind a keyboard spewing hate through social media. I have observed groups, both black and white tearing each other apart over minute differences. In all the hate, and all the hurt, I have also seen moments that give me hope and restored my belief in humanity. I have seen demonstrations conducted peacefully. I have seen people of all nationalities and skin color come together to press for change. I have seen images of cops hugging children, and people across the globe showing their solidarity with protestors here in the U.S. All this reminds me of one thing, it’s the fact that we are all humans and there are more things that make us similar than there are things that makes us different. I encourage everyone to take a step back and think about how our words and actions affect others. Challenge our own stereotypes and be careful in how we point blame. Keep in mind that numerous lives were touched over the past few weeks, and let us not forget that the cops involved are humans too. Ask yourself each day how you can help to make this world a better place. What action can you do today to promote racial harmony in a world that can seem so cruel at times. In all things, demonstrate love.